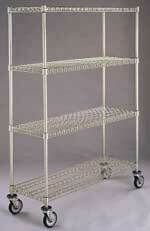 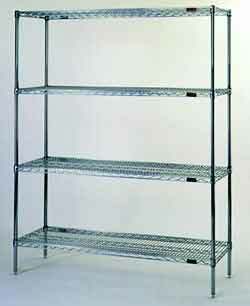 Wire shelving, wire carts, and wire racks are a specialty of Eagle. 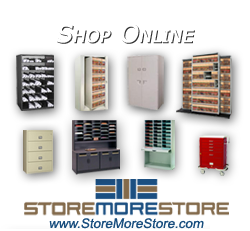 Eagle Group is America’s largest broadline manufacturer, serving the market for over 50 years, with divisions in the following industries: foodservice, material handling, electronics, cleanroom, healthcare, storage and transportation systems, retail display and custom fabrication. 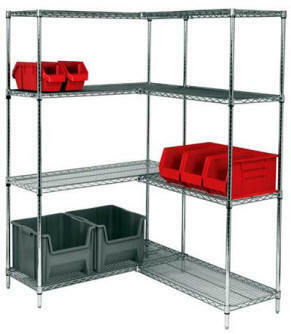 Eagle Group offers a wide variety of stainless steel products, including wire shelving, carts, and racks to serve the needs of several industries, such as electronics, material handling, healthcare, clean rooms, and supermarkets. 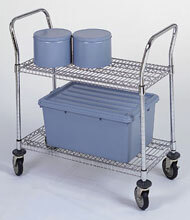 They are the maker of storage shelving, sinks & hand washing stations, worktables & workstations, and transportation products for industrial material handling activities, clean room operations, and healthcare facilities.